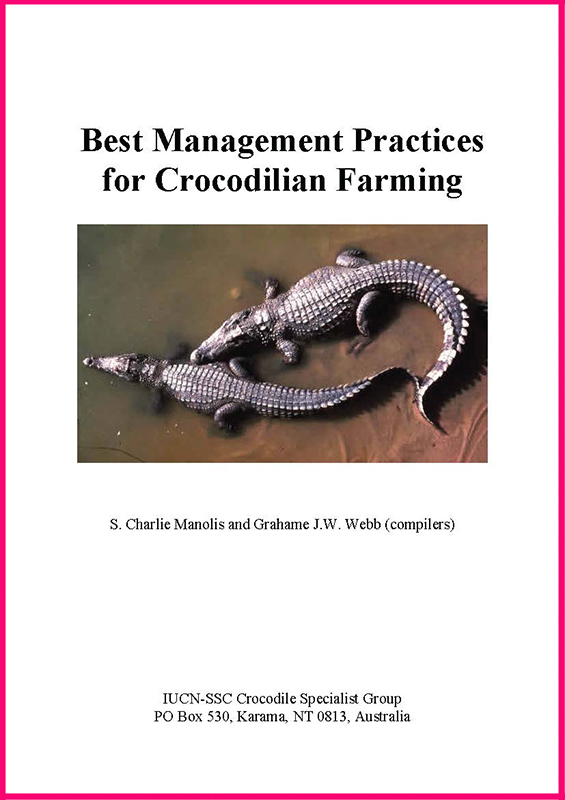 The CSG's Best Management Practices for Crocodilian Farming (CSG-BMP) aims to provide guidance to crocodilian farms about current best management practices. It also provides a checklist that can be used to assess farm husbandry practices and compliance with governance regimes. The CSG-BMP does not aim to be critical of low technology farms - from which much is to be learnt - but rather to provide options through which better management practices can simultaneously improve productivity and animal welfare in all crocodilian farms around the world. The CSG-BMP accepts that scientific research is ongoing around the world, and will continually change our understanding of what constitutes best management practices. This is particularly germane to advances in science-based animal welfare research generally, and for example, the increasing awareness that species-specific traits in crocodilians impact greatly on the application of management practices to different species. It is for this reason that the CSG-BMP does not aim to be overly prescriptive. The CSG-BMP recognises and accepts that farming conditions in different countries, for different species, have evolved separately, using both scientific and traditional knowledge, and that there is no single farming model that fits all circumstances. The CSG-BMP serves as a tool to ensure awareness among farmers of the five fundamental aspects of animal welfare though they may be achieved in different ways. The diversity of topics covered by the CSG-BMP reflects the complexity of issues involved in crocodilian farming.